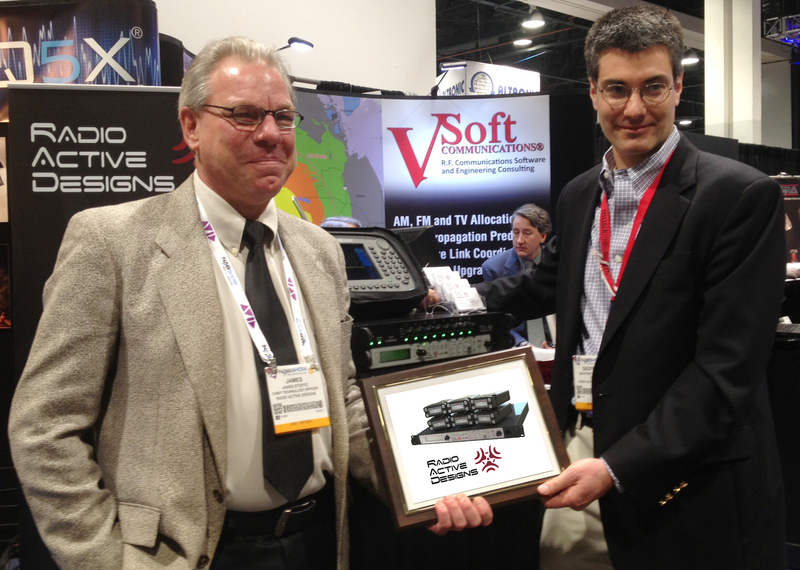 Radio Active Design's CTO James Stoffo (left) and CEO Geoff Shearing (right) announce availability of UV-1G in Europe. Radio Active Designs has announced the receipt of EU RF emissions type acceptance, allowing their UV-1G wireless intercom system and support products to be sold in Europe in addition to their current customer bases of North America and Asia. The UV-1G has been field proven regularly on such projects as rocket launches and maintenance operations, NBC Studio NY, and Disney World, Orlando, as well as many sports and entertainment venues. It is also the wireless intercom of choice on the largest live broadcast events in America such as the Super Bowl, NBA All Star Games, and is out on tour with many top music touring acts. Radio Active Design’s UV-1G wireless intercom system features body packs that operate in the VHF band, freeing up valuable space for wireless systems that require limited UHF bandwidth. The system provides exceptional audio level at the headphone ensuring users are heard no matter how loud the venue. New Scene Change presets allow every pack to tune across multiple base stations for up to 20 wired intercom channels and 40 independent talk paths. Users can easily change belt pack parameters including radio frequencies, button assignment, talk paths and audio channel.